Only U2 could out do Beyonce by surprising the world with a new album. Not only did they surprise the world with the follow up to their 2009 album “No Line On The Horizon” but they released it for free and it’s already in your music library. Yep that’s right, U2 sold their album to Apple so ITunes could release it for free and they’ve automatically added it into everyone’s music library via icloud. This is probably one of the most innovative music releases in a long time and has got the whole world talking. 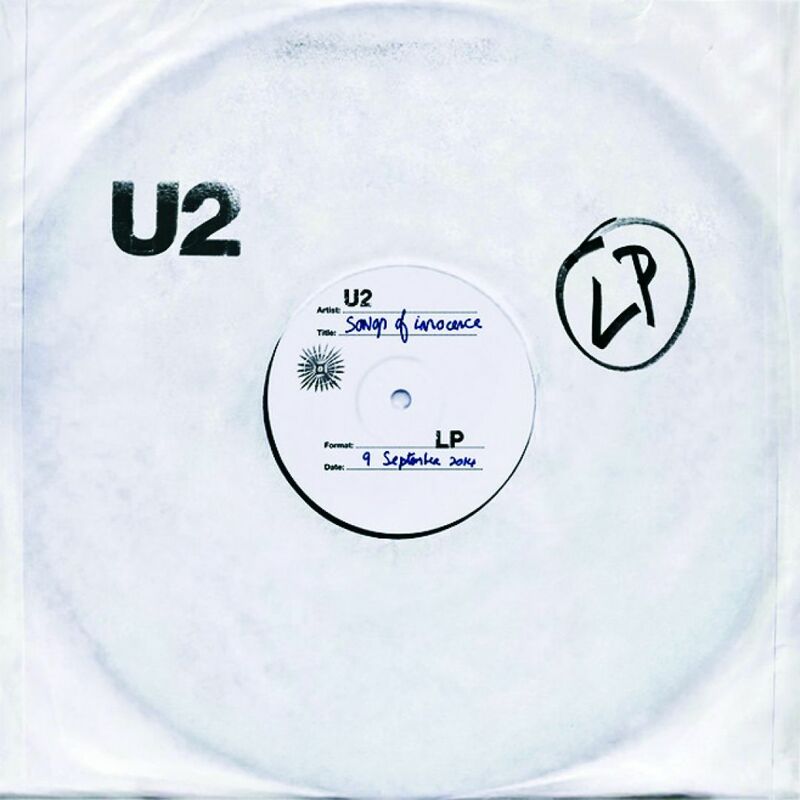 Luckily “Songs Of Innocence” is an incredible album and see’s U2 rediscovering themselves as a band and delivering a diverse collection of material. It’s no secret that their last album was fairly average but they’ve stepped it up a notch and taken 5 years to ensure this was perfect. Lyrically it’s the first time we’ve heard them bare their heart and soul and open up about their life experiences. In “Iris (Hold Me Close” Bono sings to his mother who passed away when he was 14. Slightly heartbreaking and the most open he has been about the relationship he had with his mother and wished he could continue. The unrequited anger he had in his young teens is explored in “Cedarwood Road” which is named after the road he lived on. While “The Miracle (Of Joey Ramone)” is a homage to the band that inspired them to create music and express themselves in a open forum. “Song For Someone” stands out as one of the strongest tracks on the album. With lyrics like “I was told that I would feel nothing the first time. I don’t know how these cuts heal but in you I’ve found a right”. This album sees them experimenting with synths and a heavier rock influence. “Raised By Wolves” and “The Miracle” are the best representations of this. As a collection of tracks it’s not as monotonous as previous albums and one of their most diverse records to date. Saying that “This Is Where You Can Reach Me” will be the one song most people will skip as it brings nothing new to the table. “’Sleep Like A Baby Tonight” and “The Troubles” are two songs that take a few listens to grow on you and once they do they will become some of your favorites. Bono’s vocals haven’t changed one bit and that’s just the way we like it and the production is just as impressive as ever. They have worked with some massive names including Ryan Tedder, Danger Mouse and Paul Epworth to pull of this stadium pop rock sound which is being compared to Coldpay’s 2011 album “Mylo Xyloto”. Even if you’re not a fan of U2 “Songs Of Innocence” is worth listening to as they open up like they have never before and create some smooth harmonies and catchy hooks.